There are also some separate rubber stamps, including a large version of the bottle image, some drop images, and more sentiments. I'll link them below so they're all in one place for reference. Here's a little modification of today's tutorial over at Splitcoast - I made a gift holder for 2 oil bottles. I started with a piece of cardstock for my base that was 4" x 8.5", then scored at 4", 5.5", 6.5", and 8." With a 1.25" circle die, I cut two circles in the second section from the end. Love the stamp set!! !Awesome work!!! 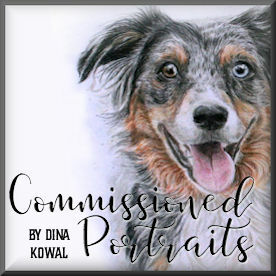 Very cool, Dina! You are such an amazing artist and human. I will need to get this so I can make some favors for my friend who sells YL as well. The Essential clear set is perfect. I want to start making simple scented gifts this year. This is a perfect set. Thank you! What a great gift idea! Cool stamps! So different, i love this set . I've been praying for a stamp set to go with herbal gifts, soaps and such. This is perfect. Thanks a bunch IO. This is a wonderful stamp set for a wonderful gift. Such a beautiful stamp set and even more beautiful gift sets that you made!!!! What a wonderful idea!!! very cute ideas for these stamps! What a great idea this stamp set is, along with multiple verses, even oil drops and you've created a cool gift box too! What a unique set. Great way to personalize a gift. You are so talented Dina! These will be so great to use with our oils! Thank you for making it easy!! Beautiful stamp set great gift idea you have created with them . OMGosh sooo perfect!!! I love an oil set!! Each will mean a lot to the receiver of the card....nicely done Dina!!! Thanks for a great tutorial!! I love how you adapted the tutorial and used these wonderful stamps! My daughter uses and sells essential oils so this stamp set is one I have to show her! How fun and unique! You are so creative! I love the gift holder and thanks for the instructions. This clear stamp set is different and very useful. 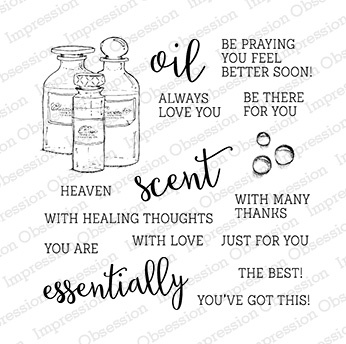 Cool Essential oil sets, even the pun-y sayings! I like the gift set holder you made too. What a fabulous way to package up essential oil sets! I'm so glad I spoke up and asked you to design something to use with oily gifts/friends in mind! I ordered most of the stamps on your list and can't wait to get them in the mail! That bottle holder is a clever idea and can't wait to share it with my local support group of YL oilers! I have a lot of friends who use and love essential oils. What a great stamp set! Love your projects! What creative packaging! Your customer will be thrilled. Love the essential oils stamp. Thanks. LOL -- now this set makes sense (sorry! )as I couldn't figure it out when I saw it on the I/O website. Great idea! Dina, these are some very clever sentiments. I also like the bottle stamps. Really cool idea for a gift box. Who wouldn't love getting oils in your beautiful box! Great designs! Love the sentiments too. Thanks for sharing. What a cool way to present the oils! So very pretty! What fun puns!! Terrific gifts! I love e.o. 's and these stamps are to cute. These are really neat tags you've made. What a clever idea! We use essential oils to do hand massage with hospice patients. I'll have to remember this set! Thank you! 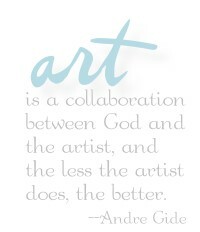 Clever sentiments to use for these images! I use essential oils--thanks for making such a great set. What a wonderful way of giving, Mama Dini. Thanks for the idea! These stamps and tags are just great! O wow!Great projects! I love this stamp set! So cool. I love how versatile this set is... A regular stamper can use it and someone in business could promote with these. Great projects, I like that stamp set! Clever stamp set...and your projects are perfect for them! Great sentiments on this Stamp set nd your creations are wonderful as usual! How wonderful to have a witty stamp set to go with essential oils! Thanks for the box tutorial link! Great Stamp set and gift ideas, Dina! Love them! Paulette S.
These look like a fun set. Essential oils are a hit here in my house. Wonderful gift set and love the perfect matching sentiment. What a great idea and thoughtful gift! Love your creativity! Fantastic puns. Great gift set!